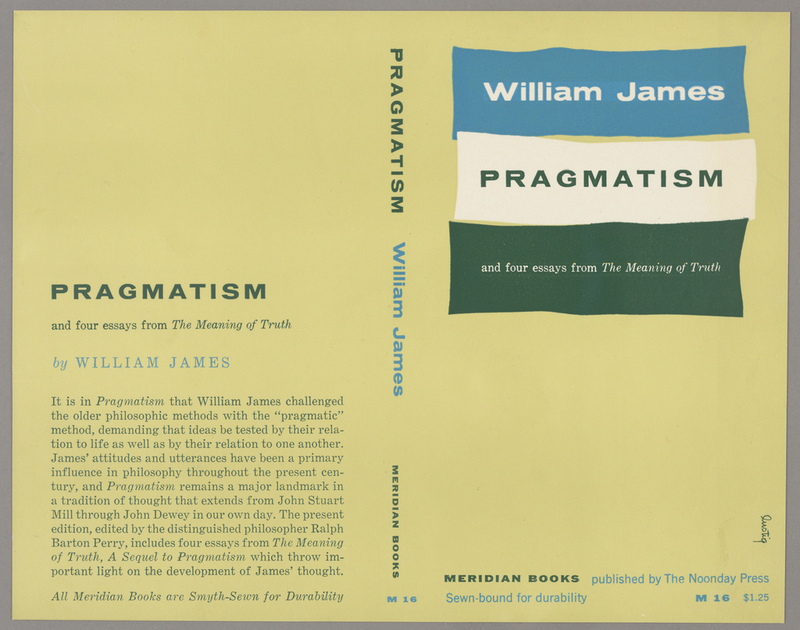 This is a bookjacket. It was designed by Alvin Lustig. It is dated 1955 and we acquired it in 1993. Its medium is lithography in blue, green and white ink on white shiny wove paper. It is a part of the Drawings, Prints, and Graphic Design department.